WELCOME to our website. Joe Stevens was a Professional Sports Photographer for 50 years starting in the late 1950's. Each of these "Galleries" is packed with some of Joe's earliest, well preserved work photographing Drag Racing and Car Shows, professionally remastered from negatives to digital images. Joe's talented photographic skills captured some of Drag Racing's most well known Legends who have left their mark on racing with their individual contributions. Over 2000 images from the 1960's, the Muscle Car Era, Funny Cars, Fuel Altered, Front Engine Dragsters, man made cars, the Era of the Pioneering Spirit. We are rated #1 in Customer Satisfaction & ease of ordering. Hundreds of customers have contacted us to say how happy they are to find these rare images and to receive them fast, without issue and Top Quality. We sell Posters plus all popular sizes & we offer Framed & Ready to Hang with a click of a button. We use professional photo paper so choose from Luster, Matte, Glossy, Metallic, Canvas or Watercolors. We have a merchandise section that offers the most unique gifts that you can find to apply our images to: Coffee Cups, Mouse Pads, Magnets & Coasters, Key Chains, T-Shirts, Totes, Puzzles, Greeting Cards (single & boxed) and a Mahogany Desk Organizer, a Ceramic Mosaic Tile and a beautiful Keepsake Box. I have created a gallery to show you what these products look like. Go to the "Our Store" Gallery to see pictures, descriptions & prices. Contact us if you have questions or need help. We reply right away. Enjoy browsing each of the galleries! BY THE WAY the watermarks you see will not be on the photos that you order. 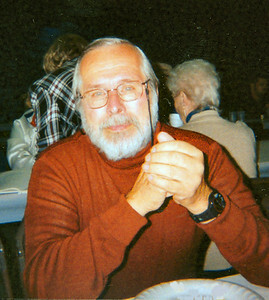 Joe Stevens - Professional Sports Photographer - 1924-2003 - Was my father and this is the website I've created to share & sell his 50 year collection of Detroit area body of lifetime work starting with the 1960's: Detroit Dragway, Motor City & Milan Dragway, Deroit Autorama's, Bob-lo Island & Bob-lo Boats, Celebrities and at some point, when I finish with the 1960's, I will begine to digitize his 30 year collection from when he was the Detroit Red Wings official publicity photographer. I hope you enjoy browsing and please inquire about photo's you're looking for or would like to see at: "The Joe Stevens Detroit Dragway Photographic Collection" on Facebook. That is you're quickest way to reach me, Patrice Lehman, Joe Stevens daughter or call 734-755-1711 and leave a message. 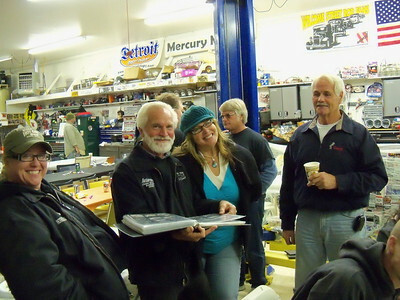 I saved other collections besides the ones I've mentioned & hear are some of them: Trenton, MI. Sports, Homecoming & All Stars, The Adray Scholarship Awards games & Ceremonies, Celebrity fund raisers such as Sparky Anderson's & Celebrity hockey with Gordy Howe & Ted Lyndsay, Silver Sticks Hockey Tournaments, many local downriver & Detroit landmarks and more. Joe Stevens photographed the Adray Scholarship Award Ceremony for 30 years hosting Ted Lyndsey, Detroit Red Wing Hall of Fame Inductee. Mike Adray, of Adray Appliance, started the scholarship for hockey players back in the 1970's. Adray's is where Professional Comedian, Jerry Lewis, used to go to buy gifts for the folks who helped in during his telethon when he held it here in Michigan at the Wyandotte Theater. Adray's sponsored thousands of hockey teams. I did save the negatives for the Adray Scholarship Awards Ceremonies but not all of the millions of hockey players Dad photographed with the exception of the Adray Scholarship Awards & Silver Sticks.. During the awards ceremonies such greats would attend such as Stevie Yzerman, the one time captain of the Detroit Red Wings team and now also in the Hall of Fame and countless other notables through the years. I haven't archived all of those yet but just glanced through them. To inquire about any such photos: Please contact me, Joe's daughter, on Facebook at: "The Joe Stevens Detroit Dragway Photographic Collection" and leave me a message. 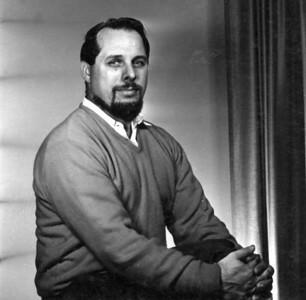 Dad in the 1960's. This, & several others from this sitting, were self portraits or snapped by my Mother. My Dad was doing work at the time with his good friend, Howard Denial, owner of the Wyandotte theatre & in one of these shot's, Dad was dressed like a Sheik from Arabia. I think he was dong publicity or advertising work for the movie Lorence of Arabia for the Theatre. I've added those photos to the Wyandotte Theater gallery. Dad also drew a wall mural on 2 sheets of the Disney Castle for Howard to display a disney movie in the theater. My Dad was an excellent artist and I remember watching him do that & doing some painting when I was small. This is a photo that I usually have of my Mother in the photo exhibits that I do on the road. I just like it. It shows this (now) antique photo copier. 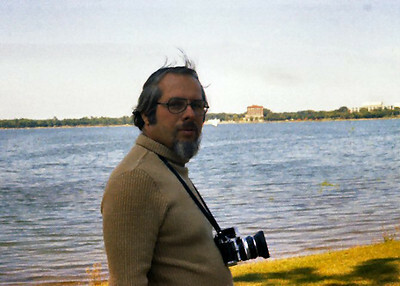 My Dad was one of few experts that could copy a picture (that is if somebody did'nt have the negative and wanted a copy say in a larger size). See where that dollar bill is? They used that to get the copier into focus and then slide the new frame into the back with the picture. We have saved a lot of our very old grand parents and other older photos that way of our family. Now, they have copiers and scanners. Technology. But if it needed to be done back in the day, Dad knew how to do it. My Mother knew how to do the oil painting like on Senior Photos. Have you ever seen one of those older, say from the 1950/60's that was color but didn't really look like a real color photo? That's because it wasn't. It was black & white and oil painted. The only thing I remember my Mother saying was the hardest part of oil painting a Senior Portrait was the eyes but she always did a beautiful job. We still have my brothers portrait from 1966. That was definitely an art. There were only 2 people in our area that did it. My Mom & another woman who used to help us sometimes. Her last name was (sp?) Shimophining. Mom also did most of the phone work, addressing envelopes, & thru the 60's, she & my father developed and printed there own black & whites & even taught me (their daughter) how to. Joe Stevens daughter, Patrice with the legendary Chuck Miller, famous for creating such cars as the Red Baron and countless others that have been made into miniature model cars. 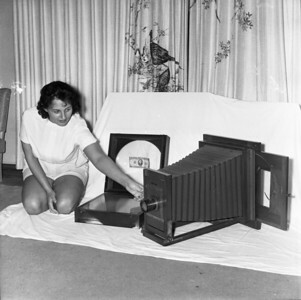 As Joes daughter, I've met so many interesting people during my fathers 50 year photography career and now, through bringing my fathers photography collectiions to the public, People who were just starting out in the late 50's, early 60's, who are now legendary for their work & accomplishments. I think my fathers photographs are legendary too & are a means of preserving history. 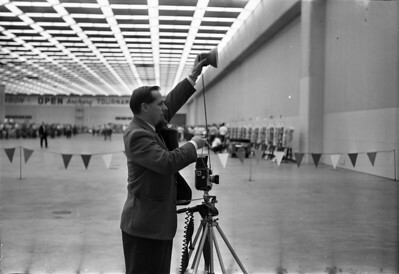 Joe Stevens photographing the Detroit Gran Prix Races. 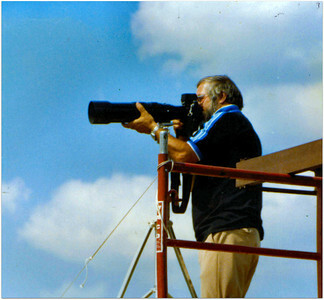 Joe, my father, was a brilliant Photographer, he began photographing the Detroit Gran Prix Races in the very 1st year they started in 1984. My sister worked with him at the time & she sate up in the announcers box during the show while he was down on the ground, well in this case, up very high on scaffolding, capturing the race cars as they came around. 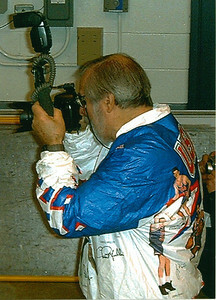 Joe was always in the middle of any big event that came to the Detroit area, with his camera in hand. He was very well known by so many & seemed to gain access wherever he went as he was a consummate professional.